Employees these days – especially millennials– are looking for a collaborative work environment which enables them to not only learn constantly but also find a sense of satisfaction by contributing towards a larger purpose. Purpose beyond the bottom line attracts people who thrive in environments where their work has clear purpose for both the organisation and society at large. Employee engagement through volunteering is one of the easiest ways to develop mutual benefit: the company increases its profits by attracting and retaining the right employees; employees develop qualities of leadership, teamwork, compassion, empathy, and trust, making them not only effective employees but also agents of positive change in society. Employees appreciate having a workplace they enjoy coming to, where they can work, earn, learn, enjoy, and do good, and society benefits from socially responsible individuals, and companies, and the positive impact they create through volunteering. The overall result is an evolved ecosystem. However, when teams are working overtime just to meet targets, or for sales teams that have very competitive targets, these benefits are very easily overlooked. Middle management who are squeezed to be productive don’t want to see people doing anything other than work; having their team go out of the office to volunteer seems superfluous and even a waste of time. The time that contractors and employees on zero-hours contracts spend on volunteering is also very easy to perceive as unproductive. However, when looked at in the larger scheme of things, time taken off to volunteer is productive and has a clear ROI. It all starts with having happier employees. Happy employees lead to happy customers, and happy customers lead to repeat business and a positive impact on the bottom-line. Some quantifiable metrics to measure the ROI for employee volunteering include reduced attrition, increased job referrals, a positive attitude toward the company, increased productivity, decreased absenteeism and reduced onboarding time. Employees can develop professional skills and demonstrate improved teamwork, improved inter- and intra-department communication, and improved overall performance scores. Additionally, volunteering enables exposure to diverse audiences leading to a better-rounded understanding of the market. Thus, companies are moving from ad-hoc volunteering to creating frameworks that facilitate structured volunteering. Google Serve 20 allows employees to volunteer 20 hours of their time for skills-based initiatives to eligible not-for-profits. Assignments can take place near centres where Google’s local offices are based, or they can be virtual, allowing local non-profits to tap into the skills of Google employees across the world. salesforce.com offers seven paid days of VTO (Volunteering Time Off) to all its employees. Employees can volunteer independently or through activities organised by the Foundation. Volunteering hours are tracked and individual volunteering achievements are recognised and rewarded widely in the company. 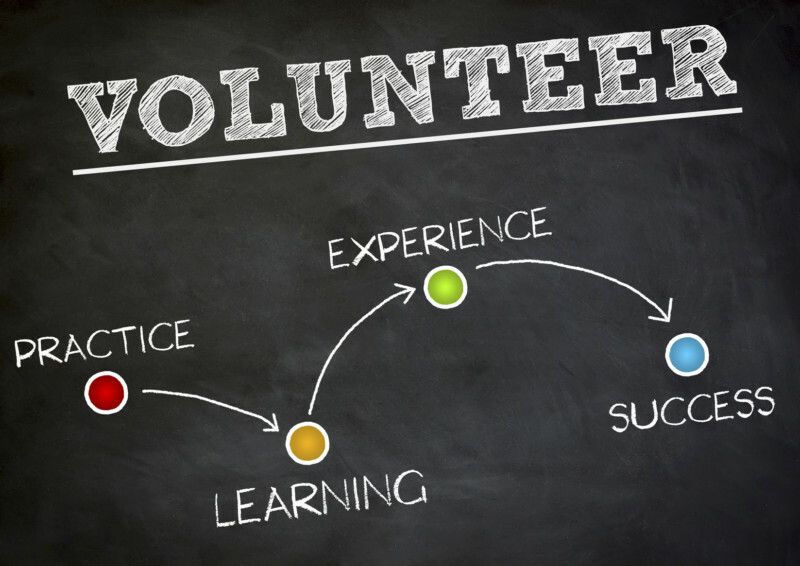 Employee Volunteering Programs (EVPs) are structured either as a part of a company’s CSR/ philanthropy programs or as a part of the Employee Engagement program. They are designed based on the nature of the business, and employee interests and skills. EVPs enable employees to volunteer towards a cause they’re passionate about – hunger eradication, education, environment etc., or they can use their skills to improve internal processes in a specific nonprofit. Mentorship and training programs are a great way to give back – these enable employees to work with people from disadvantaged backgrounds to increase their employability. Many companies collaborate with organisations for disaster response volunteering. And now, there is also the opportunity to volunteer virtually – organisations like Global Giving provide excellent platforms for employees to volunteer their skills across the world from the comfort of their desks. A structured EVP helps each employee find their purpose and create maximum positive impact towards a cause he/she is passionate about. It also helps the company to track volunteering activities and measure impact of the EVP on employees and the community.